Register to be a member of movilshacks 100 Points! Note: Please update movilshacks App to the latest version. 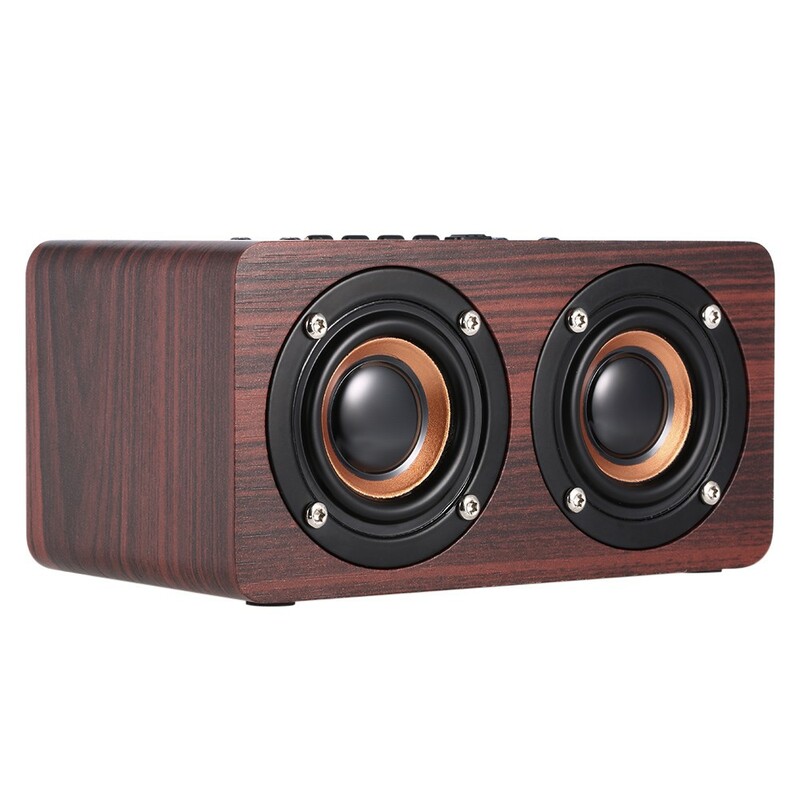 Red Wood grain Bluetooth speaker is made from environmental-friendly and high density synthetic fiber wood, it can effectively eliminate bad resonance, giving you fuller, shocking sound quality. You can enjoy surround sound, strong sound especially when playing games and watching movies. Bluetooth 4.2 technology helps you to pick up hands-free call with built-in high definition. Up –scale and high quality wooden speaker makes it an artwork in your home. High fidelity full frequency speaker strengthens super bass and subwoofer with strong sense of sound quality level. You can enjoy surround sound, strong sound especially when playing games and watching movies. Bluetooth 4.2 technology gives you marvelous experience like fast pairing, low consumption and stable transmission. When connected, it can help you to pick up hands-free call with built-in high definition mic. Made of environmental-friendly and high density synthetic fiber wood, it can effectively eliminate bad resonance, giving you fuller, shocking sound quality. Besides, up –scale and high quality makes it an artwork in your home. 3.5mm AUX-IN port can be widely connected with phone, computer, tablet PC, etc. Modes switch between Bluetooth, AUX-IN, TF card, multi modes, more choice for music. Built-in rechargeable lithium battery 1500mAh, it provides 4-8 hours of music time and 4-8 hours of talking time. Copyright © 2018 movilshacks.com. All Rights Reserved.